Hang it in a sunlit window and each little pane will glow, creating a radiant whole. 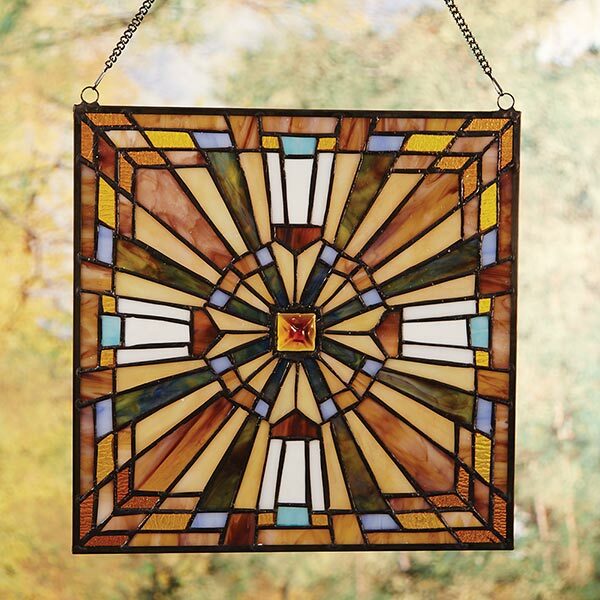 Crafted Tiffany-style from 264 glass cuts and a center cabochon joined by copper foil, mission-style art glass comes with a removable chain. 12" square.